Decided to press on to Fulton through four more locks as we were done refueling at Brewerton by 9.30am and there wasn’t much there. We left Sylvan Beach at 5.30am to beat the forecast 20 knot Westerlies which did pipe in at 9.30am but by then we were safely across Lake Onieda. 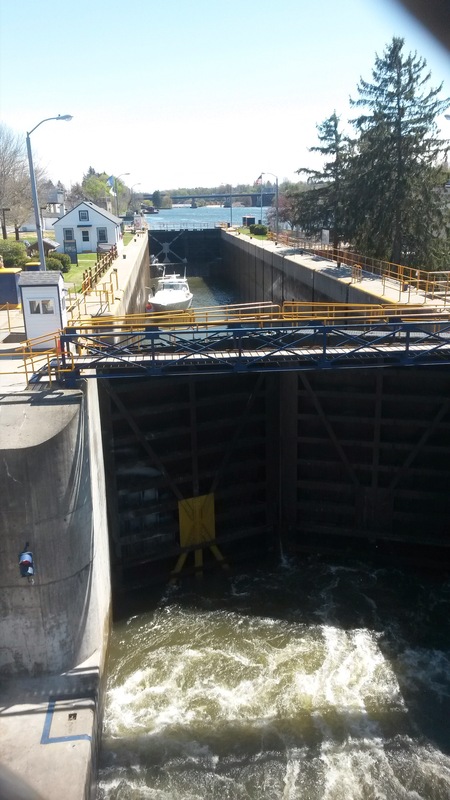 Fulton is halfway between Brewerton and Oswego, so tomorrow only 3 locks and 10 miles away to get to Oswgo/Lake Ontario. We followed Rob and Bob in Island Cat through the four locks today where we decended another 120 feet. 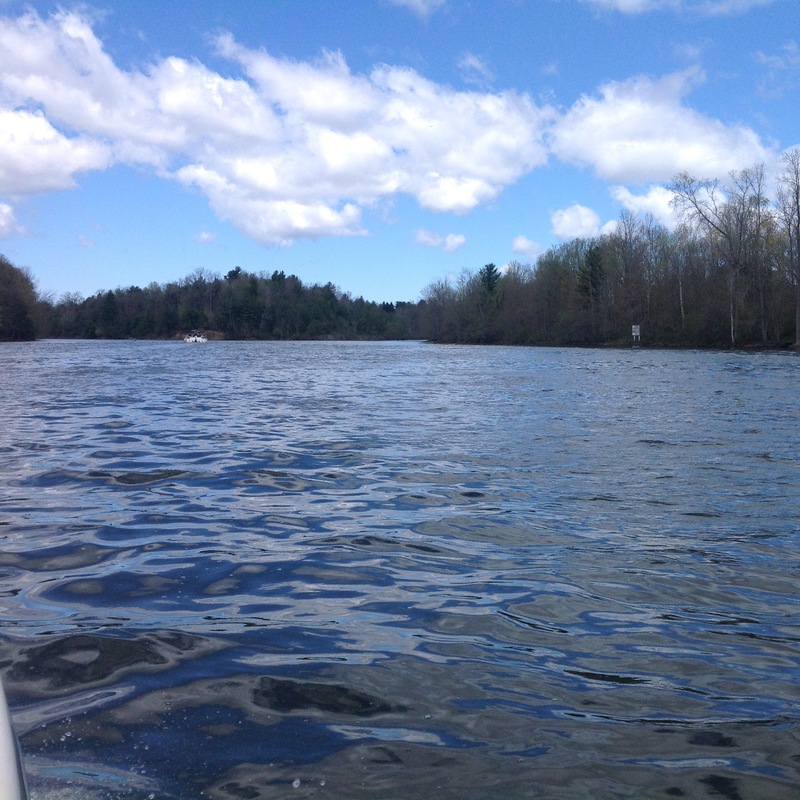 Thier vessel can be seen ahead of us heading down the beautiful Oswego River. We are moored in between Locks 2 and 3 at Fulton and later we took a walk across the river to the Price Chopper Suermarket o get some victuals. The view from the bridge over Lock 3 was amazing as a vessel was locked down. Gracie is parked in the basin just behind the lock masters building.